Posted by peterong in Asian American Church, Emergent. Key elements of the most controversial and misunderstood movement in the church today. It is said that emerging Christians confess their faith like mainliners—meaning they say things publicly they don’t really believe. They drink like Southern Baptists—meaning, to adapt some words from Mark Twain, they are teetotalers when it is judicious. They talk like Catholics—meaning they cuss and use naughty words. They evangelize and theologize like the Reformed—meaning they rarely evangelize, yet theologize all the time. They worship like charismatics—meaning with their whole bodies, some parts tattooed. They vote like Episcopalians—meaning they eat, drink, and sleep on their left side. And, they deny the truth—meaning they’ve got a latte-soaked copy of Derrida in their smoke- and beer-stained backpacks. Posted by peterong in Asian American, Asian American Church. Hey folks, if you have time…go to Asian Avenue and check out my article there…hope you enjoy! You can also read the text here…but I want to encourage you to go to the site and recommend it (if you think it is worthy so that there could be an awareness with the editorial staff that these issues are important to the Asian American community). A walk along boulevards in any major American metropolitan city, one will find that the church as the cultural center for Asian American ethnic communities. According to a 2000 Pilot National Asian American Political survey, Christians make up the largest Asian American religious group at 46 percent. This percentage is made up of the identification of “Christian,” “Protestant” and “Catholic” into one category. Despite the common faith there is an undercurrent of conflict between generational and cultural gaps. Posted by peterong in Asian American Church. Posted by peterong in Asian American, Asian American Church, Food for thought, Politics, Rants, Uncategorized. Can you imagine if Asian Americans were active in politics? What would mainstream media look like if there was an acknowledgement of an Asian American voter block? What if government had to contend with issues that are important to the Asian American population. Like the Asian American church, it is hard to pinpoint a distintictive based on our culture. We are often acculturated or assimilated to the certain stratas of economic and music culture(look at our worship sets…Chris Tomlin and Hillsongs…etc.). We have a reputation of adaptability…yet, I am often confronted with the fact that Chinese people watch TV shows that are set 500 + years ago. There is a historical imagination that contiues to haunt in Asian sensibilities. There is a yearning for a distinctiveness that we often ignore or defy because of our some of the confrontations of this country’s legacy of colonialism, racism and America’s ambivalent relationship with Asia. I wonder if there are Asian distinctives that are in other parts of the world that doesn’t have this stigma and how does their worship or church becomes a freedom to worship in our own tongues. On September 10, 2006, activists across the nation pledged to recruit 1 million Latino voters. Some say impossible. But I say it can be done, because it has been done. 2000-2004 marks a new awakening in American politics. In just one presidential cycle, our nation experienced an exponential increase in Asian American civic participation by registering 1 million Asian American newly registered voters nationwide. In California, 1 million registered Asian American Californians voted, but 1.5 million Asian Americans who were eligible to vote, did not. In other words, California is missing out on the votes of 0.3 million Asian American registered voters, and 1.2 million eligible Asian American Californians who still need to be registered, and turned out, to vote. Posted by peterong in Asian American Church, Uncategorized. There is a buzz on Dave Parks Blog about the “Silent Exodus” article, so if you have time and read some stunning comments and insights, including Helen Lee herself! 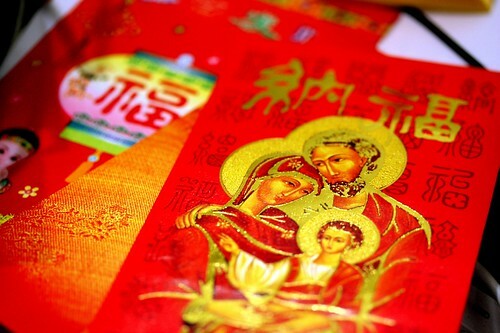 Posted by peterong in Asian American Campus, Asian American Church, Asian American Youth. Silent Exodus – Can the East Asian church in America reverse flight of its next generation? On top of the intense attention paid to native language, ethnic discrimination, and immigrant needs, Asian-American Christians grapple with additional pressure points concerning the demands for leadership equality, the role of ethnic identity in the church, and the importance of spiritual development. Unless theses added difficulties are solved, they have the potential to hinder church growth among younger people. Posted by peterong in Asian American Church, Asian American Ministries, Events, Personal Ministry Thoughts. Thanks to DJ Chuang for hosting the Second Asian American Emergent Skypecast and we had some thoughtful discussions on how the emergent church movement can be thought of towards an Asian American church. We had the following participants who ventured onto skype to meet over the internet… We had including Emergent Asia’s Sivin Kit, as well as Ben Pun, David Park, Peter Ong, Tim Liu, and my buddy Theo Wong. You can listen in to part 1 and part 2 online. In my experience, AsAm churches tend to be even more conservative in terms of practice than American churches. They tend to be slower to adapt to changes and are rarely forerunners in ministry innovation. Many people (such as Dan Kimball) see the emerging church as a response to the contemporary worship movement. But in my (Chinese) church, we are barely contemporary. We still have those who feel that drums are of the devil. So I think the Asian churches maybe just need more time to catch up. Also, I wonder if anyone else notices the overlaps between the postmodern culture and the Eastern/Asian worldview? For example, preaching in narrative and in non-linear flow of thought is normal for Asians. When I preach to the 1st genearation adults in my church, they love to hear stories and narrative. Its already part of how they communicate. Another example is the emphasis on community and relationships in the Emerging church. Its already is a central part of asian culture. So in a lot of ways, I could see the AsAm church very welcoming to some aspects of the emerging church if it is presented in the right way. Overall, it was great to hear these men share their thoughts about the horizon of Asian American ministry, particularly for me, I wanted to see how the campus could be a grounds for cultivating some new thoughts on Asian American ministry. Part of my heart was to see how this is played out in the real scenarios of the Asian American church. It got my juices churning while thinking of these things and this building of community around dialogue commands my passions. You must join us for the third Asian American Emergent Skypecast. Posted by peterong in Asian American, Asian American Church, Christ and Culture, Politics, Social Justice.